Make sure you're with an adult at this pool! Rules are really meant to keep things, like swimming in a hotel pool, fair and safe. This applies to our blogs as well. I hope you will notice that many of our blogging rules are very similar to the rules used in "regular" writing. Our class blogs are for sharing our writing. You might decide to include media like pictures, photos and audio with your writing. IF YOU WRITE EVERY WORD IN CAPITAL LETTERS, IT MEANS YOU ARE SHOUTING!!! Please don't shout. It hurts my ears. Remember that many people will read what you write. Think carefully before clicking the "submit for review" button! This list is alive. It's going to grow all year! you took the photo yourself. Photos with your face are fine if you have given Mr. Toft the permission form from your parents. Please don't post pictures of other peoples' faces because I don't have their permission to post. you drew it on paper, took a photo of it and uploaded it to your blog. you used a computer program (like SumoPaint) to make it. 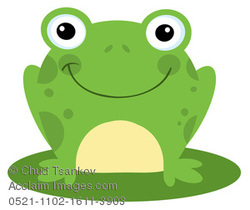 you found the picture at Clipartguide.com. A post is often like a conversation starter. It is usually written by the owner of the blog. A comment is a piece of writing that keeps this conversation going. Comments usually come from visitors to the blog and the owner of the blog. This is Nathan from Ottawa, Canada. I enjoyed reading your post about the hermit crab. I had no idea they were such interesting creatures. I wonder if they would make good pets? What do you think? If you have time, why not visit my blog by going to MrToft.ca, click on "Blogs", and then my name.